Ken Morrish has done it again...and for the last time. This may well be the best mouse pattern ever. The best Alaska pattern ever. The best night fly ever. Size 6 here, the smaller of the two sizes available. Hold the presses! Call your friends...even your enemies....and gather round! There's a new mouse in town! 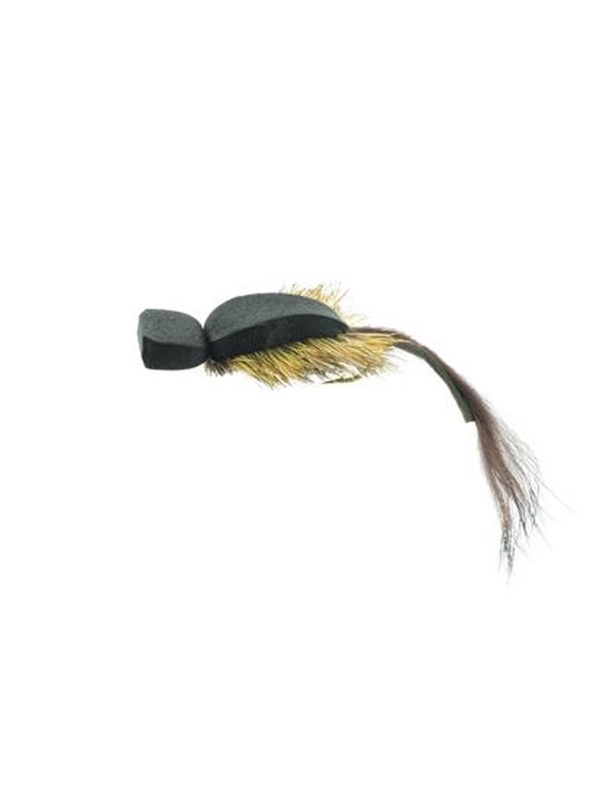 The Morrish Mouse has quickly become the most sought after mouse fly on the market. Ken Morrish has done it again...and for the last time. This may well be the best mouse pattern ever. The best Alaska pattern ever. The best night fly ever. This mouse has it all friends. Foam to help it float. Flared out deer hair for a huge profile yet light enough and easy to cast. This is truly one of the hottest and most effective new flies to come down the pike in years. The Morrish Mouse sold here in size 6....the smaller of the two sizes available. This one is tied on the hook shank where the larger is on a shank with a stinger on the back. The size 6 version here measures a little over 3" long.